After two year serving as your Alachua County Council of PTAs President (ACCPTA), I would like to take a moment to thank all those that have shared their time and stories with us as we re-chartered this organization. Thank you to Superintendent Owen Roberts, Superintendent Sandy Hollinger, and Superintendent Karen Clarke for recognizing and supporting the importance of having a county council through your participation. Thank you to our School Board Members – Dr. Gunnar Paulson, Rob Hyatt, Eileen Roy, April Griffin, and Dr. Leanetta McNealy for your support and participation in all county council meetings and activities. The relationships built with our Superintendent’s Office and our School Board Members make the ACCPTA the child advocacy association that it is. Thank you to all those that chose to join a PTA year after year. Membership is at the heart of PTA, and it is through our membership that we find our voice. Leadership development is the head of PTA. No organization can exist not matter how strong the heart, without those willing to step up and lead it. Thank you to all our officers. If you are a long-serving officer, thank you for your sustained leadership. I hope you can see the PTA organization as a place for personal growth while serving in areas of shared passion. If you are tired the drama that is inevitable from serving with other volunteers or the seemingly endless needs, please take a breath and look for a new opportunity, hopefully serving with PTA. If you need to take a break, please to sustain your membership and continue to help those around you to understand why you chose to serve. Whether a part of leadership or membership, we all must hold each other accountable to the mission. The mission of PTA is what ties it all together. If the first words that come to mind when you say PTA is not child advocacy, we are doing something wrong. The PTA mission of making every child’s potential a reality by engaging and empowering families and communities to advocate for all children must be at the center of what the officers lead their membership to accomplish. It is the table that we set to bring stakeholders to the table for addressing any need of our students and families at any level – school, district, state, and national. Our hope is that your county council is viewed as a resource to support your local unit in your endeavors and to provide a voice that is bigger than one unit or any one member alone. Just like at the local unit, we need the courage of volunteers to take on leadership roles. At any level, if you think, “I don’t know how [insert person or committee] does [fill in advocacy effort].” Go and find out. Our schools need you now more than ever. 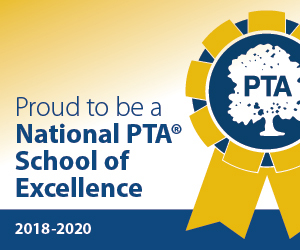 Join as many PTAs as possible, give your talents and serve as an officer or chair a committee, and participate in as many Alachua County, Florida, and National PTA events as you are able. We are the keys to our school communities, we serve out of love, and we are grateful to serve to meet the needs of our most precious resource everywhere – our children. We may know these truths in our heart and head, but we need to say this mission out loud. It is one simple word that we must remember to keep our county council sustained – Advocate. Noun ˈadvəkət/ – a person who publicly supports or recommends a particular cause or policy. Verb ˈadvəˌkāt/ – publicly recommend or support. It is who we are together. As Presidents, we speak for our membership as the one voice. It has been my honor to serve as your Alachua County PTA voice for 2 years. It has been my privilege to serve alongside a growing board that placed the mission as central to all we do and spread . May we all continue to remember.